yours to own, absolutely free. YES I WANT TRAINZ 2009 FREE! 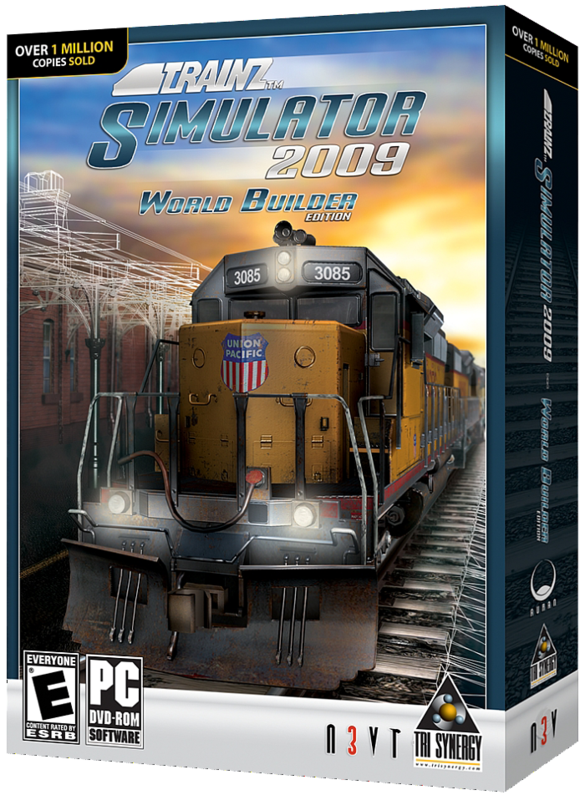 To celebrate the announcement of Trainz Railroad Simulator 2019, for a limited time we're giving away the fully featured retail version of Trainz Simulator 2009: World Builder Edition. Just sign up for our newsletter and we'll provide you a link to download TS2009, absolutely free and yours to keep forever. With Trainz Simulator 2009 "World Builder Edition"
Yes? Then you'll love Trainz Simulator. Drive trains, operate your railroad, explore a variety of routes made by people just like you, or create the railroad of your dreams. Simply click the link below to register for our newsletter to get TRS2019 updates and we'll provide your link to download TS2009 absolutely free. * Access to the Trainz Download Station for 2009 users requires a First Class Ticket. A free 30-Day FCT is provided with your TS2009 download. Additional FCT tickets are available at our Trainz Store. Know anyone else who would like Trainz for FREE?